The NXR professional style range does it all. 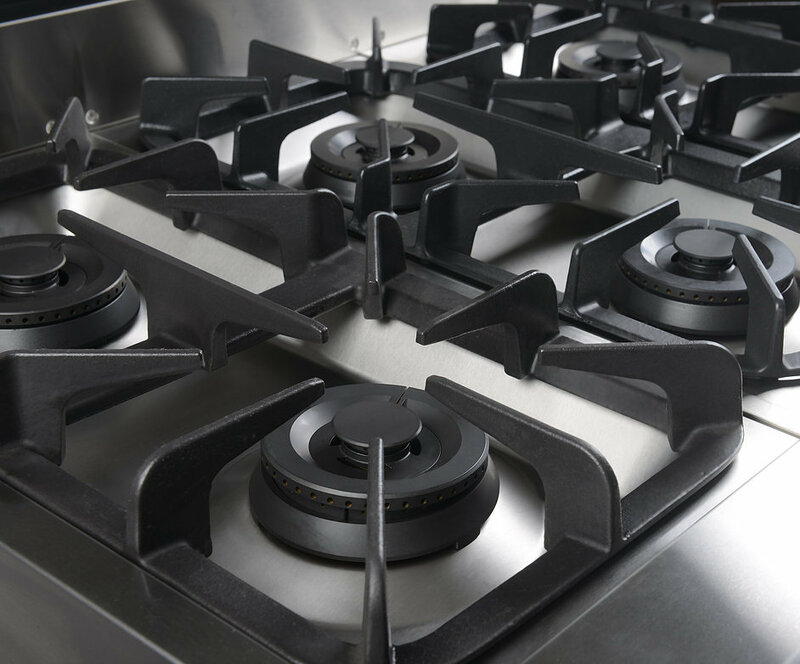 Not only does the NXR look amazing, but the versatility of our German Dual Burners will help you be a professional style chef in your own kitchen. 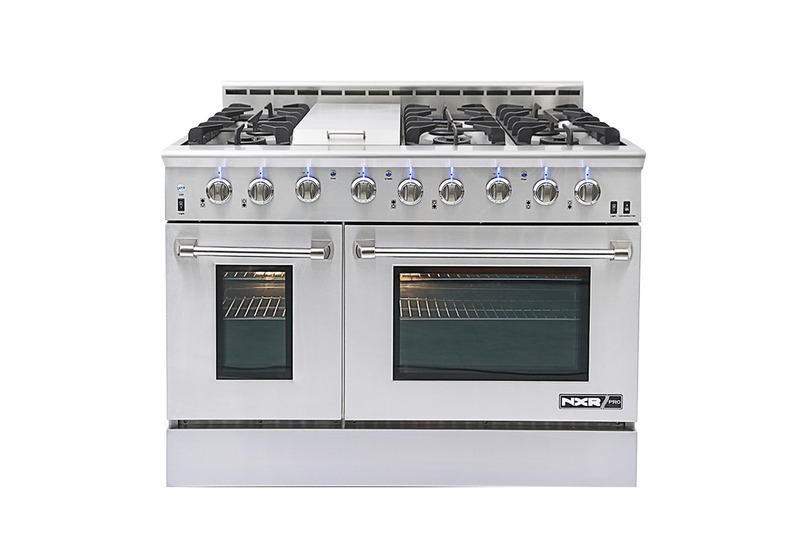 • Dimensions: 48" x 27.5" x 40.6"
• Oven Capacity: 4.5 & 2.7 cu ft.
• Cooking Area: 46" x 23"
• Window size: 19.7" x 11.8" & 7.7" x 11.8"
Our 48” range comes with six dual burners, all capable of high power 15,000 BTU cooking and 620 BTU simmer. Commercial style grates add versatility in cooking options. Continuous Center Grate included. Underneath it all, we have globally sourced parts such as our valves, which are made in Spain. Every single burner on the NXR Pro is made in Germany specifically for NXR. 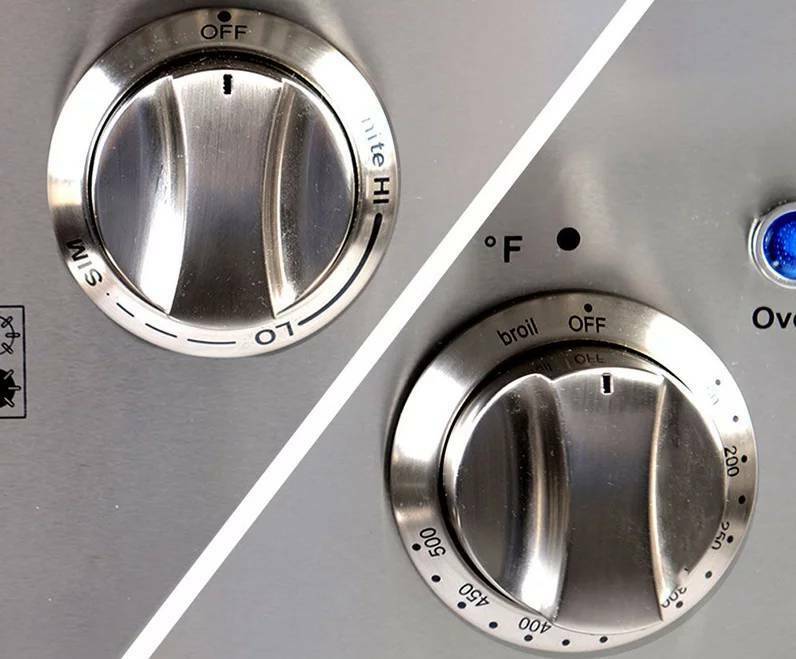 You don’t have to keep track of which burner has high power and which burner has low power, because all our burners have maximum range. 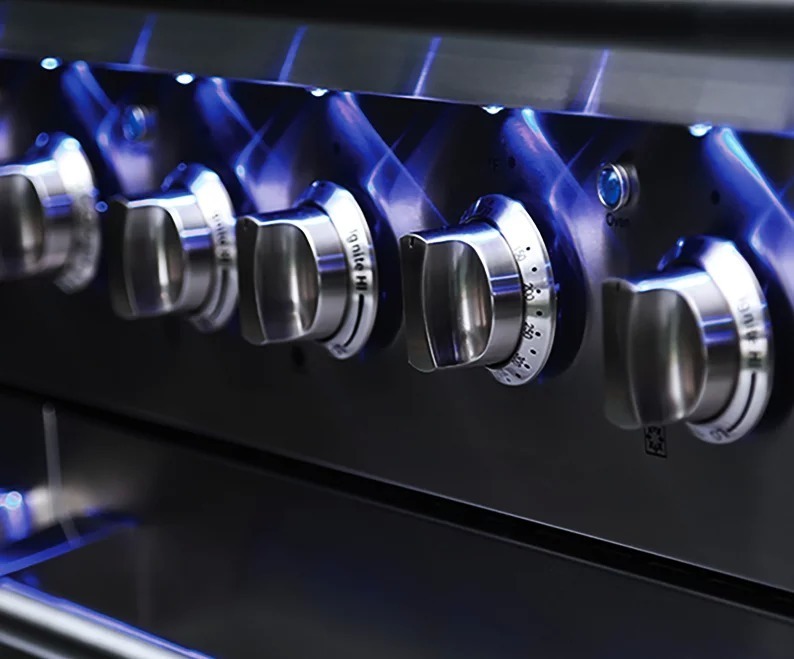 Each burner reaches 15,000 BTU, capable of boiling water quickly, and the inner burner simmers at 620 BTUs, perfect for delicate sauces and chocolate. 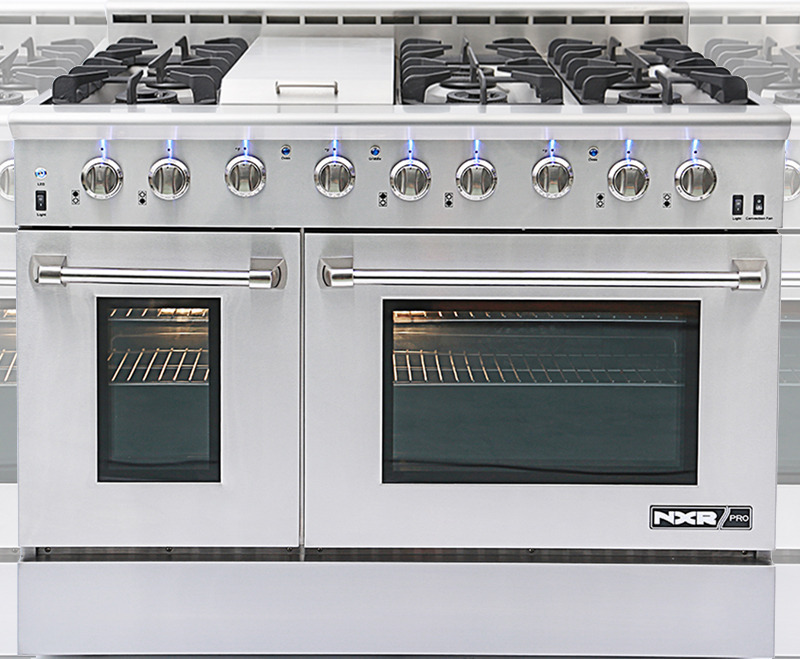 Experience the power and control, and cook like a professional chef with the NXR burners. 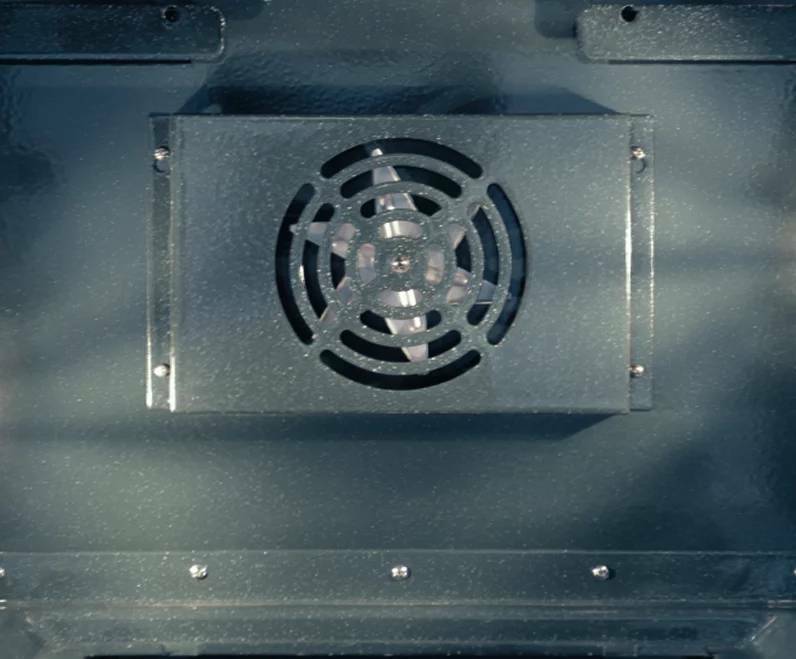 Heavy-duty cast iron cooking grates compliment sealed gas burners. You can see and feel the professional style grates. The higher elevation maximizes the effectiveness of our German made burners. Heavy duty, infinitely adjustable commercial temperature knobs with silk screen print lets you set the perfect temperature. 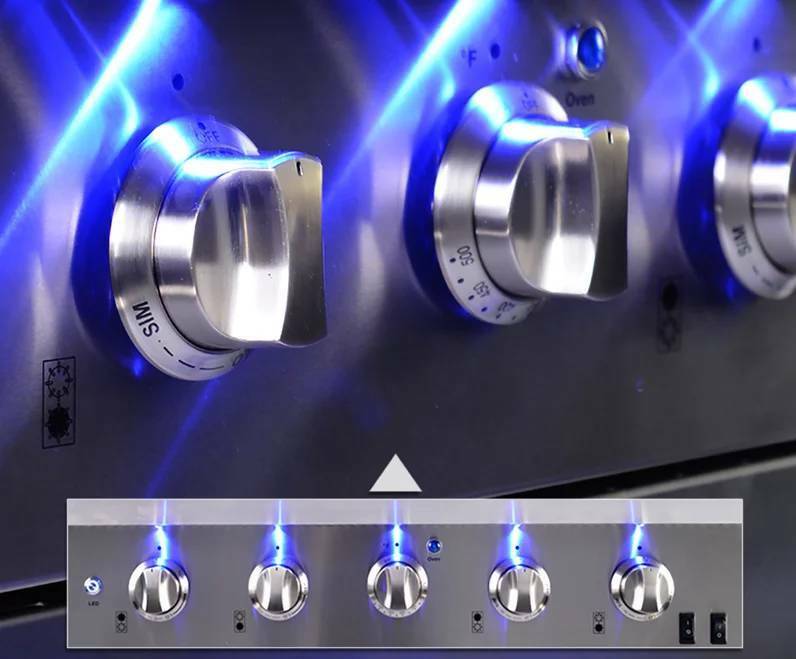 Turn on the BLUE LED lights and watch as the NXR Pro takes center stage in your kitchen. The industry’s newest technology is the single point ignition system. 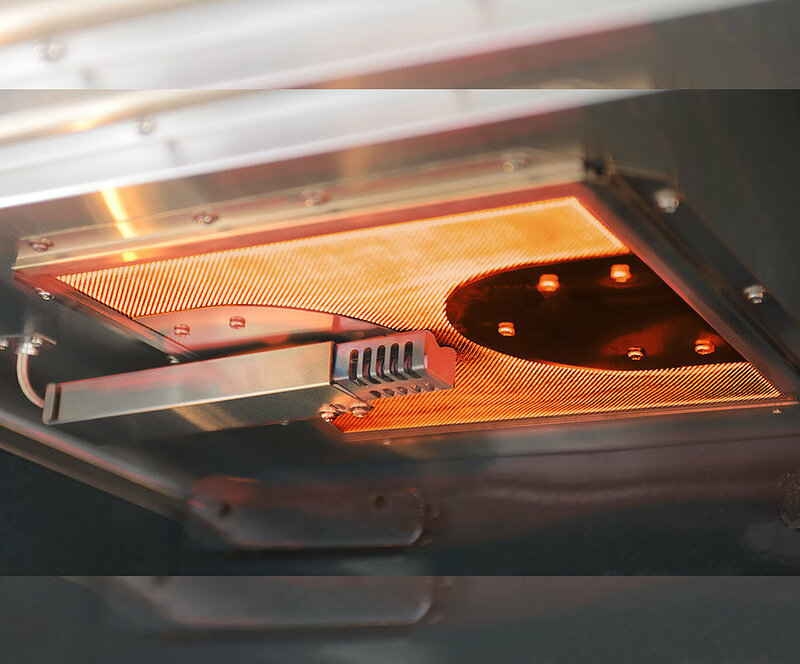 This means that each burner has it’s own ignition, instead of the traditional multi-point ignition, which uses one igniter for all burners. The benefit is ultimate control and safety for your range. When the burner is simmering, try blowing the fire out – it will automatically light up again, so you don’t have to worry about leaking gas. 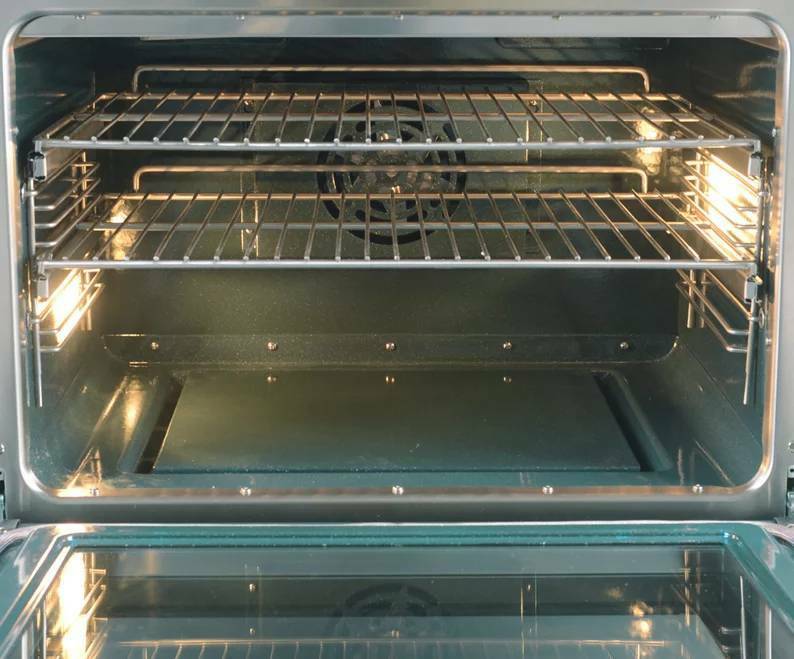 NXR coats the oven with midnight green porcelain to make cleaning easier. 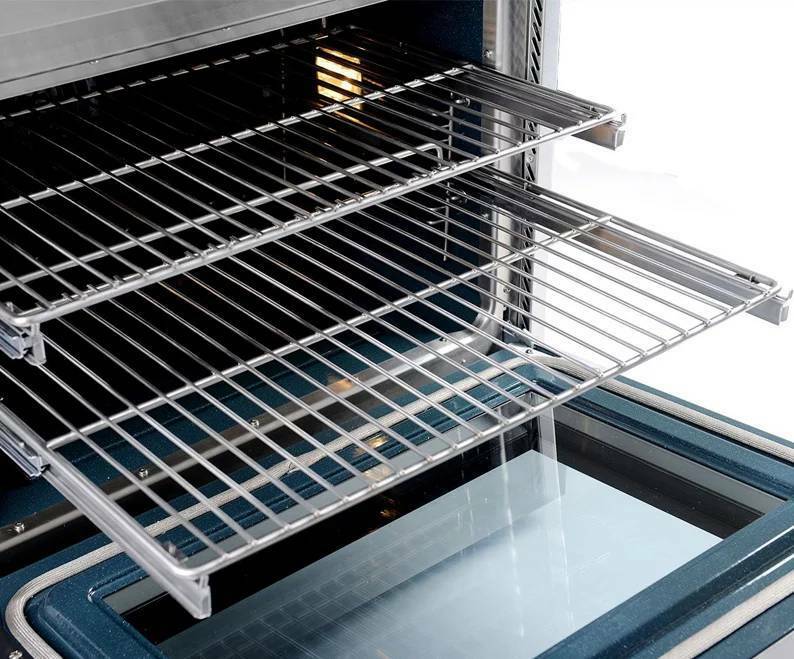 The oven is equipped with two gliding, stainless steel baking racks that glide smoothly with full extension. We made sure these racks will last, and they can support weights up to 50 lbs – perfect for those extra large Thanksgiving turkeys. Additionally, these racks are dishwasher safe. Enjoy the most tantalizing and succulent steaks, fish, pork, and poultry that have been seared and cooked to perfection by NXR’s professional quality infrared broiler feature, which goes up to 16,500 BTU. 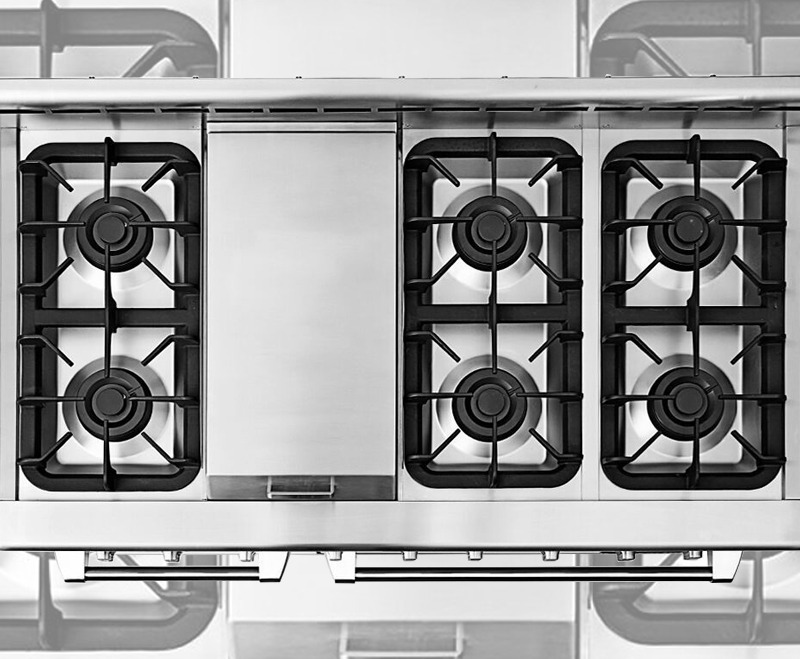 Our Convection Fan is designed to create even cooking, producing heavenly breads, pastries and roasts. 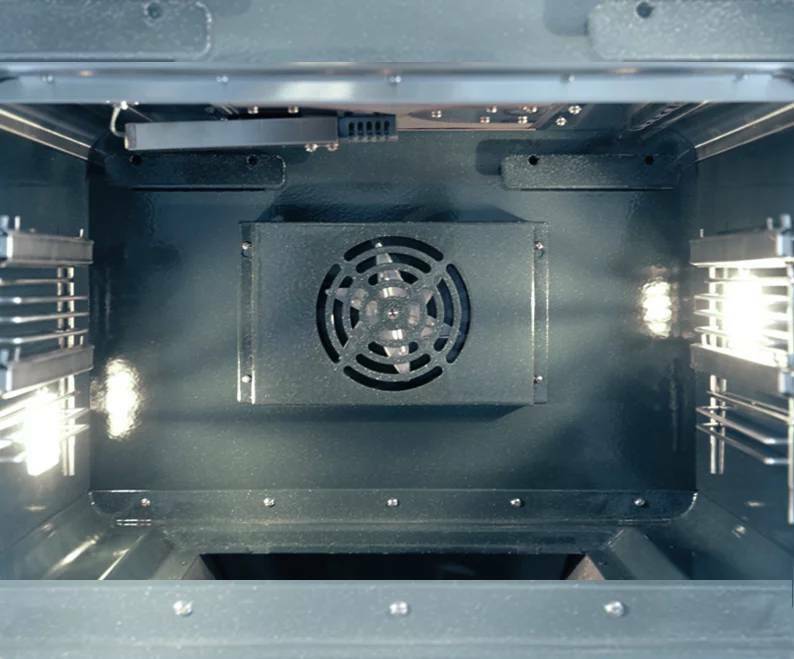 Two Halogen lights at 25 Volts each allow for better oven visibility. 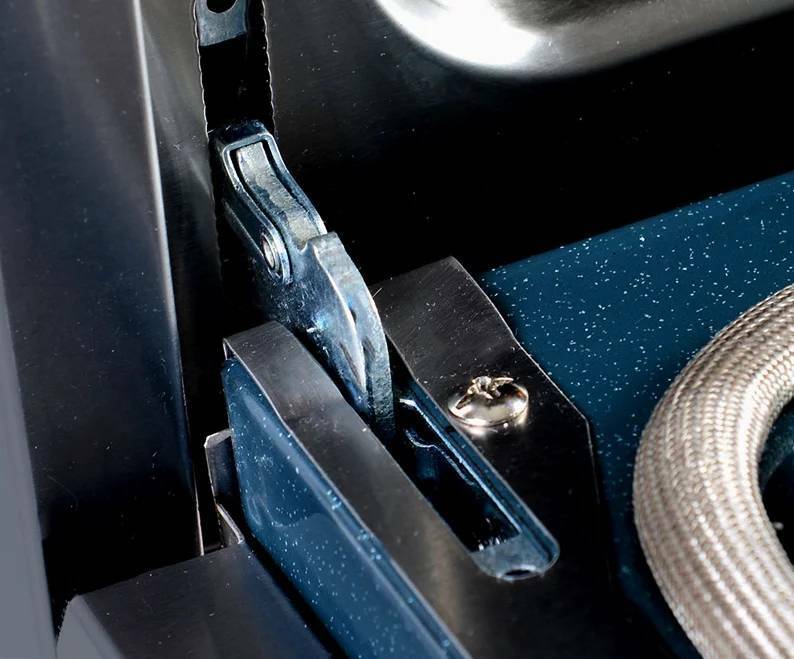 Our heavy duty oven hinges close and open with a professional feel, and have been tested to last. Constructed using all stainless steel to meet the highest standards of both quality and durability in an industry that demands perfection. Copyright 2018 NXR Duro Corporation. All Rights Reserved.